A little giclee calendar I'm working on right now. This calendar has 12 cards for each month. 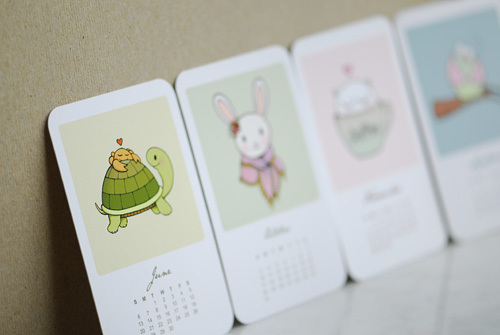 Each card measures 2 5/8 x 4" printed on lovely museum quality MOAB paper. It is put together by hand. Each month has one of my pen illustrations. I have already finished making 6 out of 12 months. I'll update the blog as I progress. Ooh, I'm in love! They are just too cute to be true. Can't wait to see the whole set! 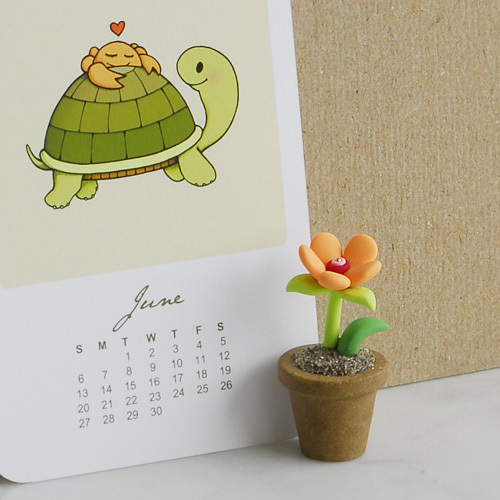 Afi, i am in love with your little giclee calendar! They look amazing already and i can't wait to see the whole set. It's also such a wonderful way to collect your art. Have a lovely merry happy day and love to you! Those are cute :D I love the soft colors you use in all your work! Which Moab paper? Which printer? What a great idea! Very nice! Awwwww I love this. Crabs don't always have to be crabby, right?